Draft: 2010, San Francisco Giants, 1st rd. March 31, 2016 Salt Lake Bees released CF Gary Brown. March 31, 2016 Los Angeles Angels released OF Gary Brown. March 7, 2016 OF Gary Brown assigned to Los Angeles Angels. June 4, 2015 Los Angeles Angels sent Gary Brown outright to Salt Lake Bees. June 2, 2015 Los Angeles Angels designated CF Gary Brown for assignment. April 24, 2015 Salt Lake Bees activated CF Gary Brown. April 22, 2015 Los Angeles Angels claimed CF Gary Brown off waivers from St. Louis Cardinals. 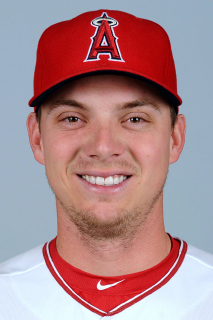 April 22, 2015 Los Angeles Angels optioned CF Gary Brown to Salt Lake Bees. April 21, 2015 St. Louis Cardinals designated CF Gary Brown for assignment. April 3, 2015 St. Louis Cardinals claimed CF Gary Brown off waivers from San Francisco Giants. April 3, 2015 St. Louis Cardinals optioned CF Gary Brown to Memphis Redbirds. March 31, 2015 San Francisco Giants designated CF Gary Brown for assignment. March 29, 2015 San Francisco Giants optioned CF Gary Brown to Sacramento River Cats. March 29, 2015 OF Gary Brown assigned to San Francisco Giants. October 30, 2014 Gary Brown roster status changed by San Francisco Giants. October 11, 2014 San Francisco Giants reassigned CF Gary Brown to the minor leagues. September 2, 2014 San Francisco Giants recalled CF Gary Brown from Fresno Grizzlies. March 12, 2014 San Francisco Giants optioned CF Gary Brown to Fresno Grizzlies. November 20, 2013 San Francisco Giants selected the contract of Gary Brown from Fresno Grizzlies. November 20, 2013 CF Gary Brown roster status changed by Fresno Grizzlies. March 31, 2013 CF Gary Brown assigned to Fresno Grizzlies from Richmond Flying Squirrels. February 1, 2013 San Francisco Giants invited non-roster CF Gary Brown to spring training. April 3, 2012 Gary Brown assigned to Richmond Flying Squirrels from San Jose Giants. April 2, 2012 San Jose Giants placed CF Gary Brown on the reserve list. January 18, 2012 San Francisco Giants invited non-roster CF Gary Brown to spring training. September 7, 2011 CF Gary Brown assigned to Scottsdale Scorpions. July 12, 2011 San Jose Giants activated CF Gary Brown from the temporarily inactive list. July 9, 2011 San Jose Giants placed CF Gary Brown on the temporarily inactive list. April 2, 2011 CF Gary Brown assigned to San Jose Giants from Salem-Keizer Volcanoes. January 14, 2011 San Francisco Giants invited non-roster CF Gary Brown to spring training. August 31, 2010 Gary Brown assigned to Salem-Keizer Volcanoes from AZL Giants. August 23, 2010 Gary Brown assigned to AZL Giants. August 16, 2010 San Francisco Giants signed OF Gary Brown.